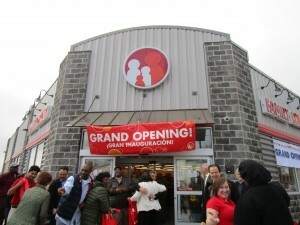 Capitalize Albany Corporation joined City of Albany Mayor Kathy Sheehan, Assemblymember John McDonald, Council Member Vivian Kornegay, other officials and Vanguard-Fine to celebrate the grand opening of the Albany‬ South End Neighborhood’s Family Dollar. The neighborhood’s newest asset is located at 418 South Pearl Street, shelves are stocked with everyday items including food and grocery options. To view photos from the grand opening visit Capitalize Albany’s Facebook page here.